I was just reading an email from marc and angel.com and it was entitled “3 Wake-up Calls You Need to Receive”. I just want to touch on the story that was told at the beginning of the email. A young woman received four flannel shirts from her grandfather as a birthday present. They came from his closet, but they were in great shape, hardly worn and he felt they would look nice on her. She thought it was such an odd gift and didn’t really acknowledge the present. He died two days later and she didn’t say thank you. Although what she received really was an odd gift, we all have moments like that. Things we should have said, hugs we should have given, notes that should have been written and apologies that should have been made. But this blog post is not about regret, but forgiveness. 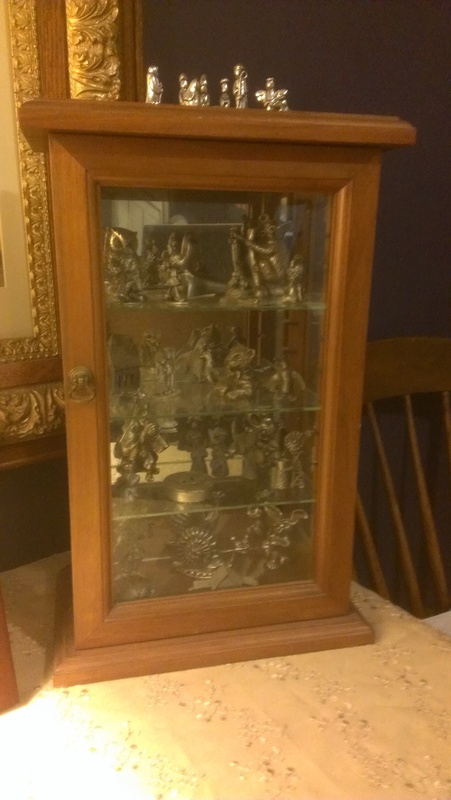 At Christmas many, many years ago when I was 10 or 12, my grandmother gave me a two foot tall cabinet to display my pewter figurines. I was so pissed off. Who knows what I wanted but that wasn’t it! My Mom yelled at me, my Dad yelled at me, I am sure my Grandmother was hurt and I was sent to my room on Christmas day. Honestly I don’t know if I ever thanked my Grandmother for the gift and fortunately she didn’t die until I had time to grow up and show her that I really wasn’t a spoiled brat; but that moment has stuck with me. I have long since forgiven myself, but the lesson I learned from that minute in time has made me a better person. I am still very insensitive at times and probably will continue to be so for the rest of my life, but I did learn that no matter what gift was given, your response is invaluable to the person who gave the present and when we or someone we love makes a mistake, forgiveness is in order even if “I am sorry” is never spoken. It may be something that someone said to you or did to you, or something that you did to another, but forgiveness needs to be granted. Even something horrendous needs to be acknowledged and forgiven. I have seen people on TV forgive another for murdering their child and if that is possible, then the rest of us can forgive others for petty things that were said or done. I feel for the young woman who received the flannel shirts because she is going to feel that pain for years to come and she really needs to forgive herself for her lack of action, but I am also sure it will shape her behavior as an adult. For my Grandmother and me; she continued to give me gifts and I loved every one of them after that traumatic day, but none are cherished the way I cherish my little cabinet. It sits proudly in my office and is a reminder of how much my Grandmother really did love me and how forgiveness is at the heart of life. Very touching, Julie. To forgive can be very easy or very, very hard. Those that are difficult are the ones that help me heal and lose the load of bitterness. Love you Ooolie!